Online businesses are nowadays struggling with an interesting problem. They spend huge on customer / user acquisition, and getting them to use their application, and before they can get some revenue from such users, the users shift to some other platform. The necessity to retain customers in online businesses has aroused the need for better engagement solutions. These solutions range from reward point systems to better UI to adding more features. But one most popular (and useful) of all the engagement solutions that is always to stay is ‘communication and messaging’. What better way to engage your customers / users than to let them talk and be heard? And since change is the only constant in the world, the world of communication and messaging has shown its part of change by moving from the early postcards to telegrams, wired phones to mobiles, SMSs, emails, and now to real-time messaging and video calling. 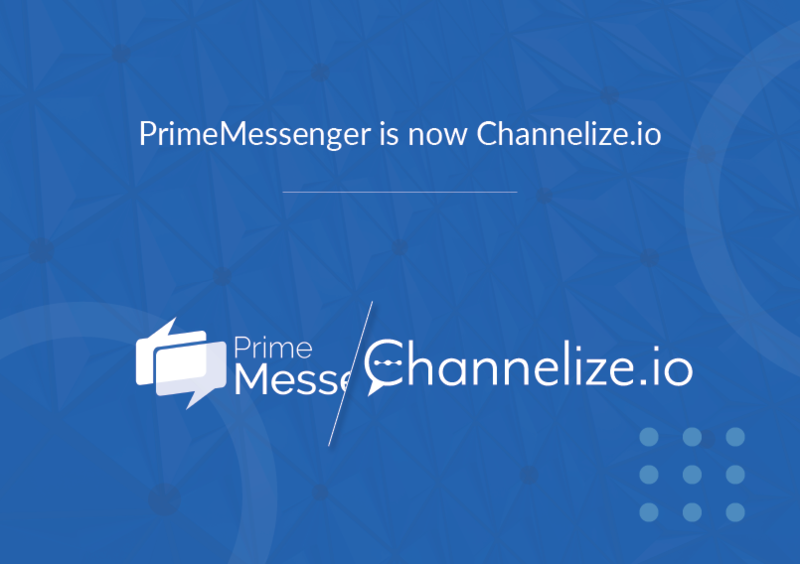 PrimeMessenger has been re-branded to Channelize.io. Channelize.io promises to move along with this change to provide businesses the best customer engagement solutions that they have always been wanting. By using Channelize.io, businesses can leverage communication amongst their members, customers and partners to achieve newer avenues of growth by targeting new use-cases. We know you loved the name PrimeMessenger. But to be true to our long-term vision, and our upcoming features and capabilities, we believe that our old name did not contain these enough. Thereby, quoting the tagline, “Channelizing Communication for Business Growth”. We very well know that for your businesses to grow, they need the latest communication tools, and Channelize.io is a humble leap to help you achieve that.